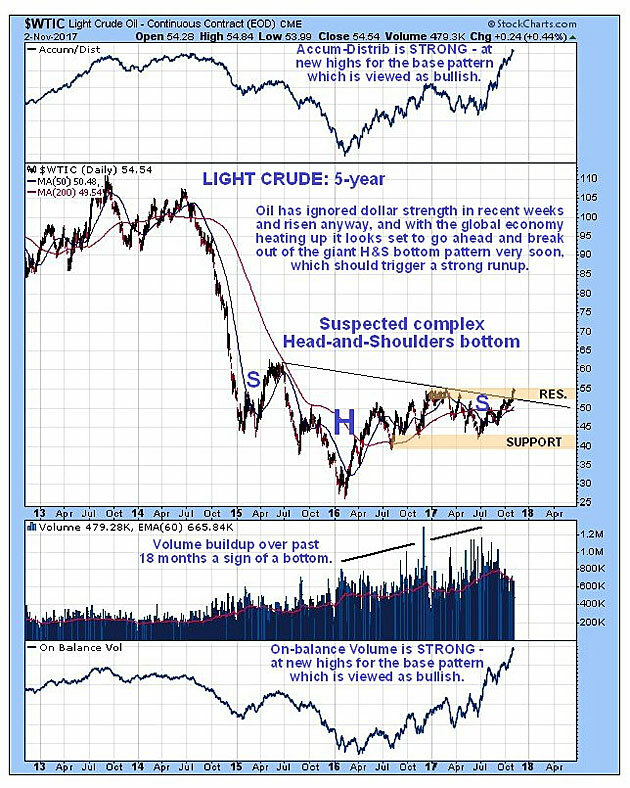 In the last Oil Market update posted on Oct. 23, we observed oil's intrinsic strength, and how it looked like it was building up to break out of its giant, complex, Head-and-Shoulders (H & S) bottom. We were wary of its reacting back short-term on dollar strength, but that has not happened. Instead, it has continued to firm up. Oil has already broken above the neckline of its H & S bottom and is at the point of breaking above key resistance at $55 at this year's highs. This will mark a clear breakout from the H & S bottom and should trigger a strong run-up. 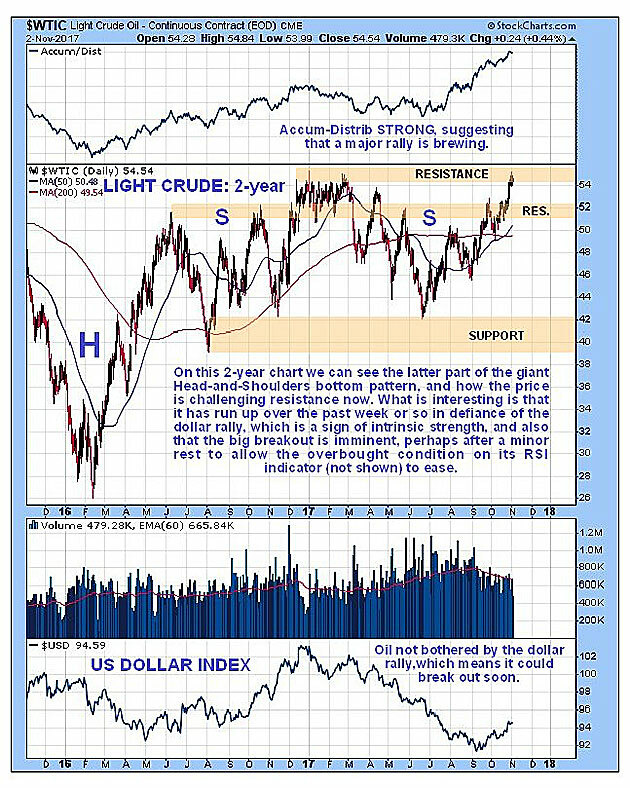 We can see all this on the latest five-year chart for Light Crude, shown below, and again on the strength of its volume indicators, which suggest that a powerful rally is on the cards for oil, and probably soon.